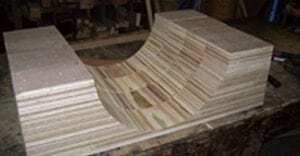 We produce and supply a large range of wooden crates, pallets, shipping containers and timber saddles, all of which can be made to your order. This really is the heart of what we do at Barnes and Woodhouse – provide our customers with off-the-shelf and bespoke packing items. We produce wooden crates which are suitable for shipping in a huge range of sizes, but can also offer you tailor-made solutions for that particular item you’re packing. All of our wood is ISPM 15 certified so is safe to ship abroad – if you’re unsure of what you need, just get in touch with us. 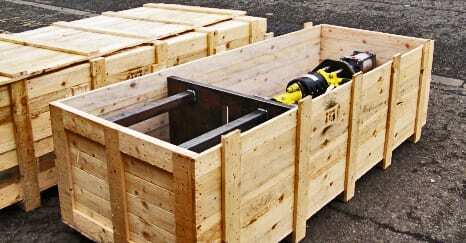 Whether you need boxes for jewellery or to ship a piano, we can find you the right crate. 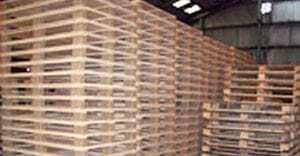 We also create wooden pallets in a variety of sizes, treated in whatever way you need them – they’re also all reusable and stackable, which makes them perfect for repeated use. We can also help with any packaging needed to keep the items in place. Alternatively, if you need wooden crates for a shop display we can “dress” them for you, creating smooth edges. Finally our custom timber saddles, packaging and supports are ideal for moving large or heavy items. We are particularly experienced in making saddles for pipes, and also securely shipping large pieces of industrial equipment. Making them to order is the key for a snug fit, and we use a number of packing products to ensure that the item stays firmly in place throughout its journey.